I knew it wouldn’t be easy, but I did it. Far too often my favorite shows are ruined for me. I knew about the Red Wedding massacre before it went down on Game of Thrones. I had the death of several Walking Dead characters spilled to me in advance. One of the biggest challenges with those shows is that I worked really early hours, and couldn’t stay up to watch. So by the time I was able to see them, any surprise was inevitably ruined. It never takes much, just a random tweet or headline. Working in the media business, I can’t just unplug. 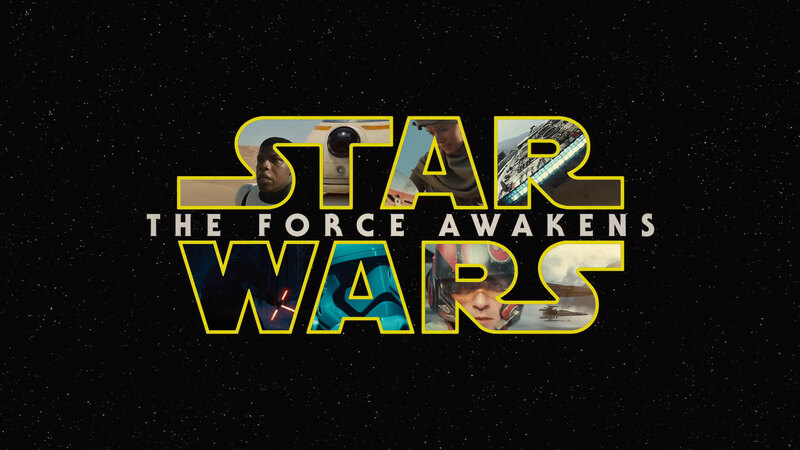 With Star Wars: The Force Awakens, I wanted to remain in the dark. I just didn’t want to know anything. I watched the trailers, but that was it. Didn’t want to know anything about the speculation, the debates, the leaks, the guesses. In general I don’t like spoilers. When I was younger, and finding about elements of a movie in advance felt more exciting, I was gung-ho for any nugget of information. This peaked when I got my hands on the script for Star Trek VI: The Undiscovered Country at a convention. I felt like I’d found a dirty little secret, and read through it in an hour, cover to cover. It was an earlier version of the script, where Saavik was still in it before the character was replaced with Valeris. By the time I actually saw the movie weeks later, I felt deflated. I’d ruined the whole experience for myself. I vowed I’d never do something like that again. I’d rather experience the movie as I’m watching it. 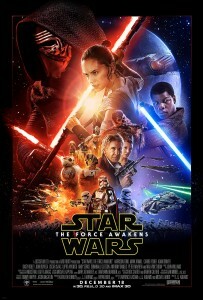 ‘Star Wars: The Force Awakens’ poster. For the last few months, it was pretty easy to avoid spoiler talk. You’d have to go looking for it, and I simply stayed away from those places. However, the days leading up to The Force Awakens release were full of tension. I felt the pressure mounting, as if a spoiler could pop out anywhere. I literally ran out of a room just a day before the release because a person who had seen a screening of the flick was talking about it (although he was very carefully and respectfully not revealing anything). But I knew, even an off-hand remark could ruin everything. I was on edge. I’d made it this far, but the odds were against me that I’d get there unsoiled. I was full of fear something was going to ruin it. I saw people on Facebook complain that they got this thing spoiled while on Google, or that thing revealed by a random Twitter post. It was like I was storming the beach with the rest of the 501st, and troopers were getting cut down to the left of me, to the right of me, and it was only a matter of time before I got hit. The tension was with me right up until the time the lights when out in the theater. My son wanted to talk about something he heard regarding Star Wars while we were driving to the movie, but I immediately silenced him. Even saying the words, Star Wars, put me on edge. I was a live wire, ready to overload. Someone on Facebook posted something with the words Luke Skywalker, and I instantly had to close it out. I barely paid attention to social media for at least two days before the release. I didn’t even want to post about my worries or my anti-spoiler feelings out of fear someone would make jokes or post comments just to mess with me. I couldn’t have handled it. I could tell I was being irrational. But if I even got a hint that something could spoil me, I found myself cowering in fear and looking for a place to hide, if not physically but mentally. I could feel the tension everywhere, threats everywhere. It was insane. As the famed yellow words crawled upwards on the screen last night, all that tension and fear melted away. I could watch the movie secure in the sense that I wasunsullied by any foreknowledge. The Force Awakens could unfold before my eyes and tell itself. I won’t reveal anything about the movie here. My wish to remain spoiler free also means I refuse to spoil the experience for anyone else. But I got to have the experience of seeing Star Wars: The Force Awakens the way I wanted, and I hope everyone else does, too.